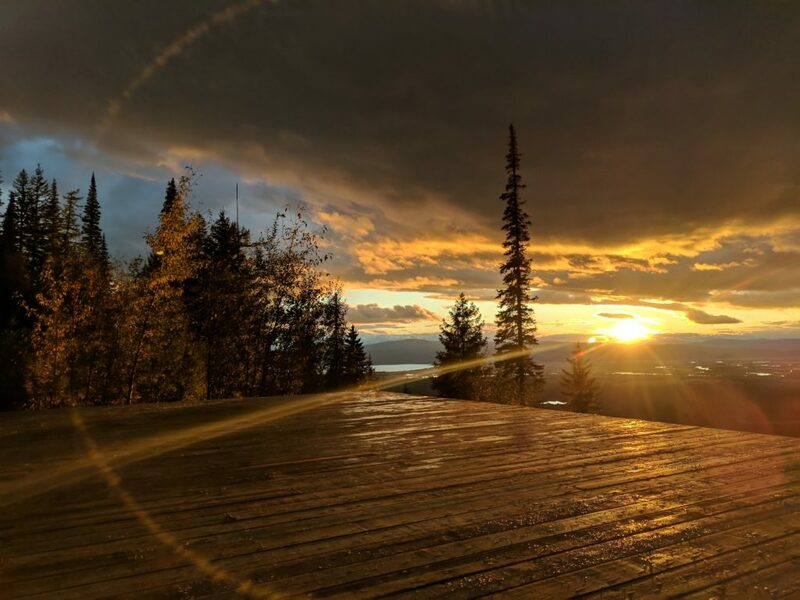 The Jewel Basin Yurt is located approximately 4.7 miles up the Jewel Basin Road and sits at 5,000 feet above sea level. 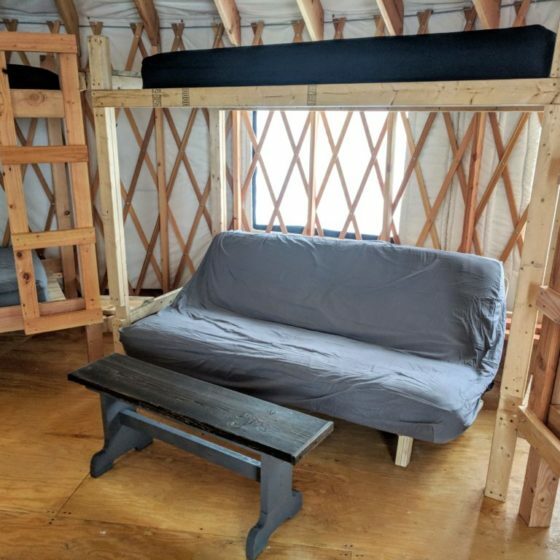 The yurt is privately owned and is located on private property. 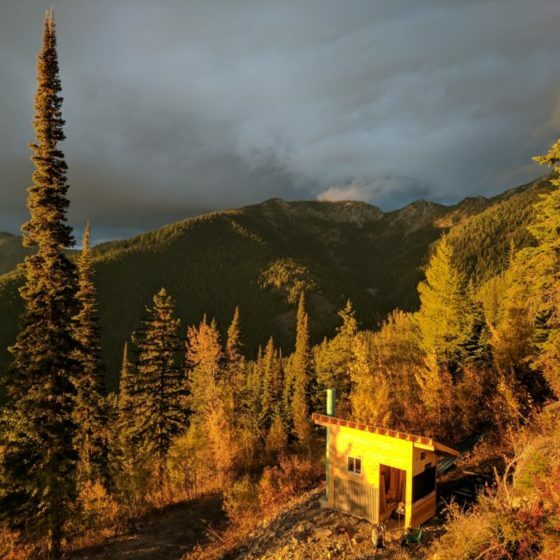 The vertical gain from the valley to the yurt is about 2,000 vertical feet. 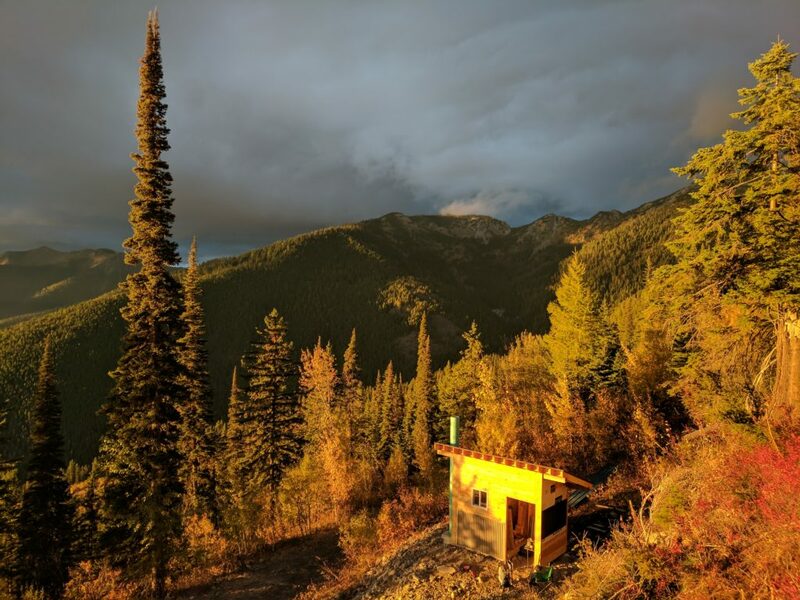 The Camp Misery Trailhead is approximately 1.7 miles up the Jewel Basin Road from the yurt and gains about 700 vertical feet. Motorized, bicycle and horse use is prohibited in the Jewel, making it a hiker’s playground. 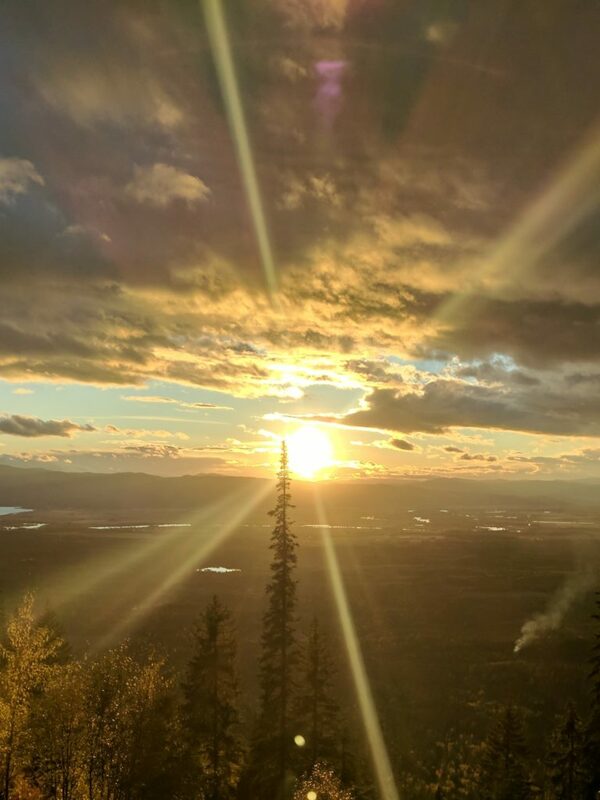 While not a designated wilderness area, the “hiking area” designation achieved in 1970 prevented the basin from being overwhelmed by motorized use. 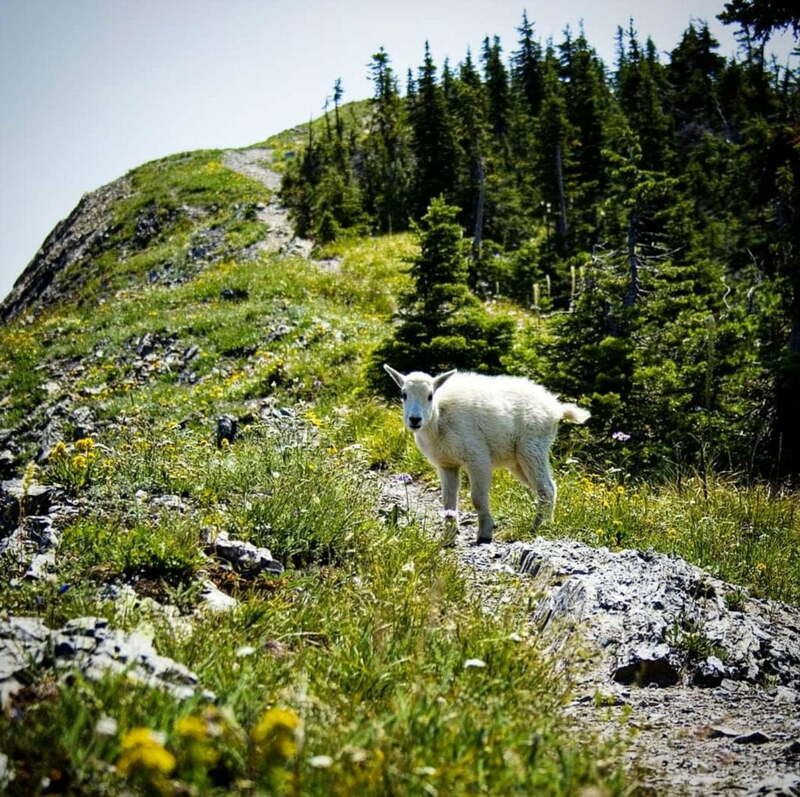 Climbers enjoy views into Glacier National Park to the north and the Bob Marshall Wilderness to the east from most of the five named mountains and 11 unnamed peaks in the basin. The 24’ (452 sq. 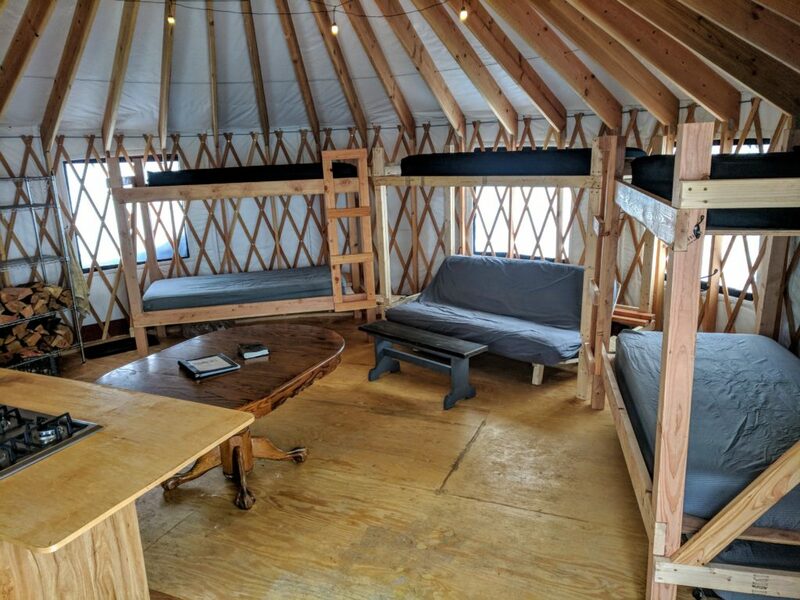 ft.) Montana-made Shelter Designs Yurt accommodates eight people with three bunk beds and two trundle beds. 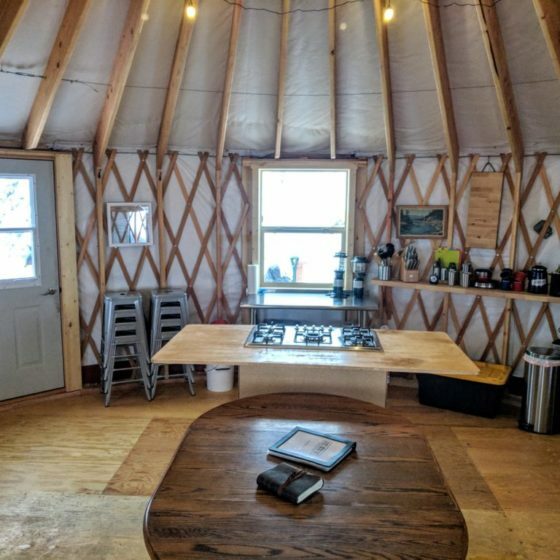 A wood stove heats the yurt, which is also equipped with a table, chairs, propane cook stove, propane lights, smoke alarm, mop and bucket, a fire extinguisher and a snow shovel. Firewood is available just outside of the yurt. 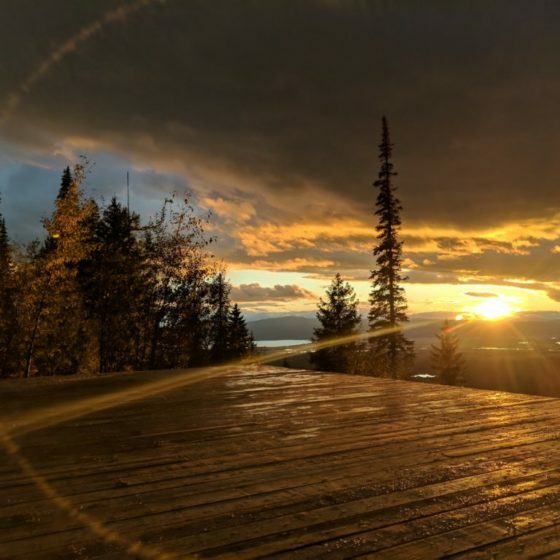 Spring, summer and fall in the Jewel reveals an incredible network of trails, lakes, wildlife, flora and fauna surrounded by views of Glacier National Park and the Bob Marshall Wilderness. The Jewel Basin Recreation Area boosts 15,349 acres of non-motorized heaven. 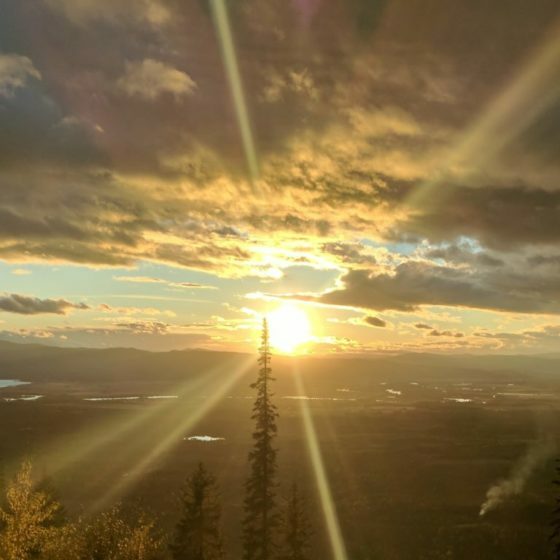 Within' the Jewel is a network of 35 connected trail miles, 27 named lakes, five named peaks and 11 unnamed peaks ready to be explored. 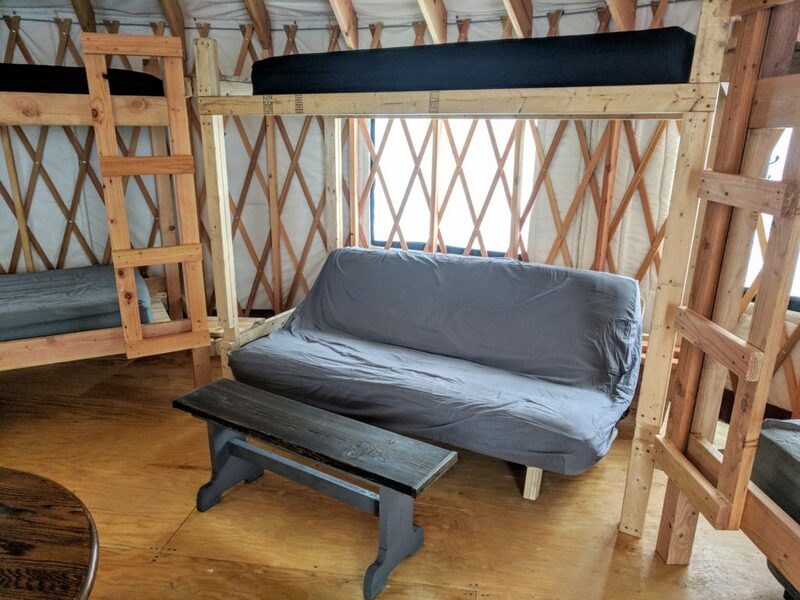 Most years you can drive to the yurt from the middle/end of May through the end of October/early November. Mother nature ultimately decides when the road becomes acceptable for safe vehicle travel. 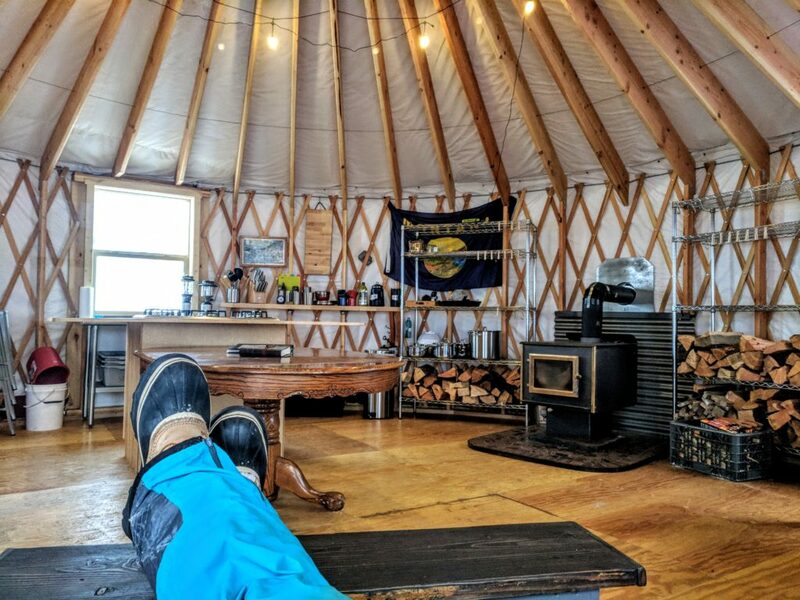 Other modes of transport to the yurt include: walking, hiking, biking, skinning, snowshoeing or snowmobiling. 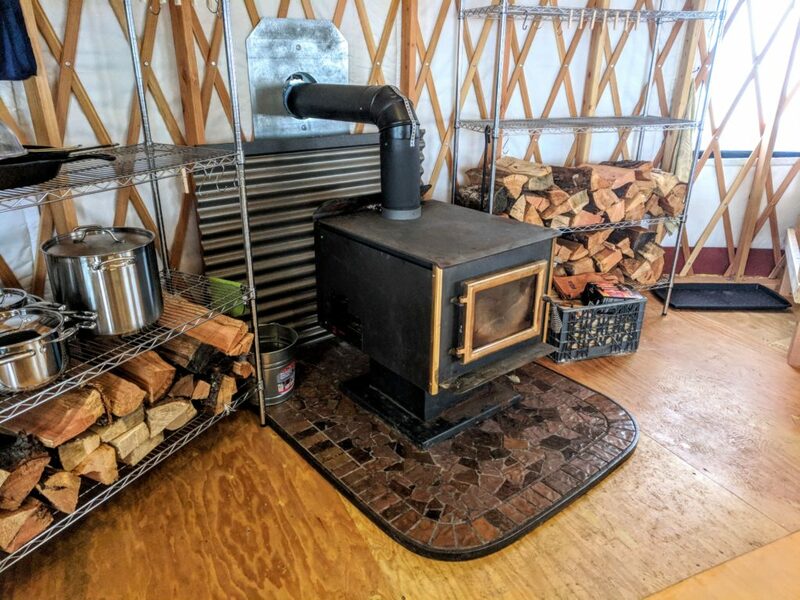 We are off the grid: A wood stove heats the yurt. Toilet facilities consist of an outhouse with a pit toilet. 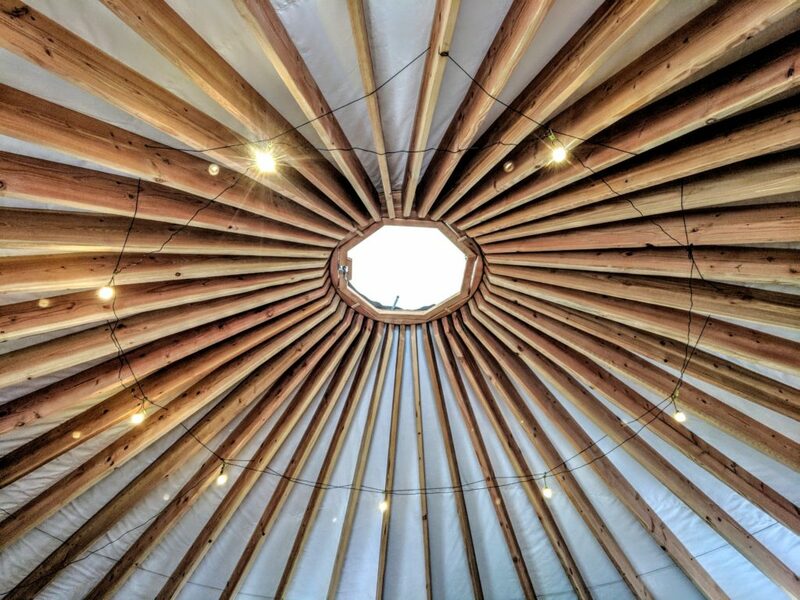 There is no electricity or running water at the yurt. 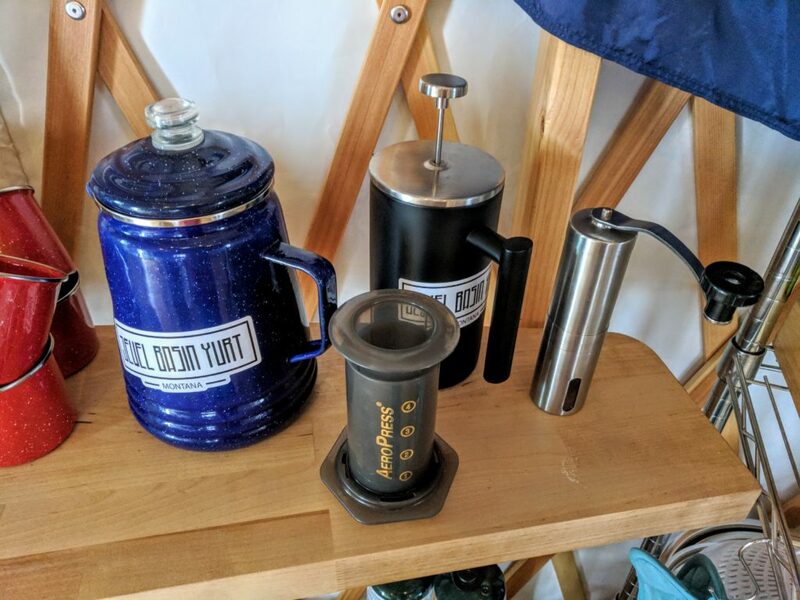 Guests should bring their own drinking water. 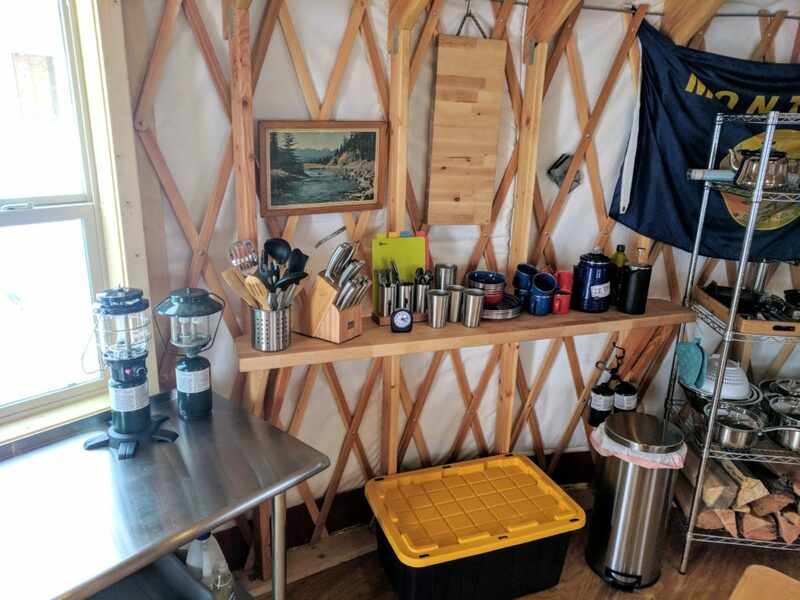 Guests are responsible for cleaning the yurt and facilities at the end of their stay and are required to pack out all garbage and refuse upon checkout. 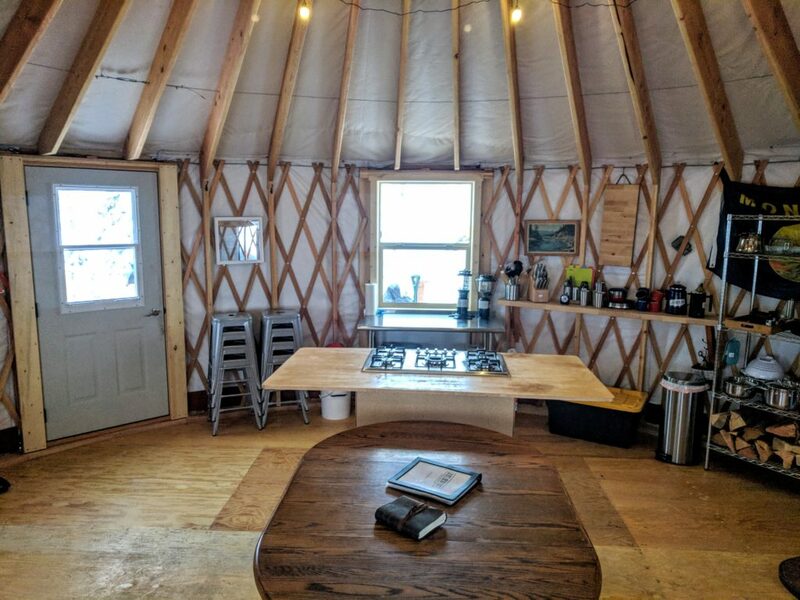 Sorry, no pets, animals or dogs allowed at the yurt.